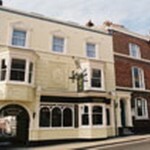 Trying to find pubs in Dorset? You’ve come to the right place. 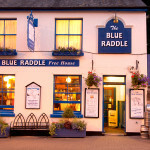 We’ve got every pub and bar in the UK listed. 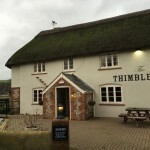 Whether you’re looking for a pub or bar in Dorset to play darts, somewhere to play pool or just want to have a look at a menu before you go, we can help. 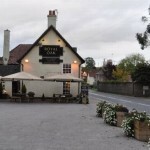 Village pub/restaurant with a garden, offering locally sourced dishes with a Mediterranean spin. Oak in Charlton Down has accommodation. The pub has a beer garden, it has a car park. Oak gives a warm welcome to dogs and their owners. The pub is a family friendly pub, it serves food. Oak has an outside area. The pub serves real ale, it has a dart board. Oak has a pool table. The pub shows football on TV, it has terrestrial TV. Oak is a member of Camra. The club is a members club. Non-members are very welcome, just a 50p sign in, or come and join to become a member. 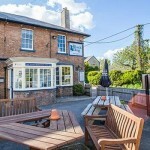 Royal Oak in Milborne St. Andrew has a beer garden. The pub has a car park, it has disabled facilities. Royal Oak gives a warm welcome to dogs and their owners. 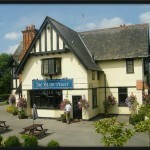 The pub is a family friendly pub, it serves food. Royal Oak has a function room that can be booked. The pub has an outside area, it serves real ale. Royal Oak has a real fire. The pub has a smoking area, it has free WiFi. Royal Oak has a dart board. The pub has live music events, it has a pool table. 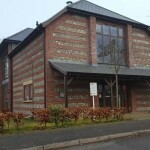 Royal Oak holds quiz nights. The pub shows football on TV, it shows rugby on TV. Royal Oak has Sky Sports. 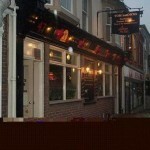 The pub has terrestrial TV, it is a member of Cask Marque. Tom Browns in Dorchester has a beer garden. The pub gives a warm welcome to dogs and their owners, it serves food. Tom Browns has an outside area. The pub serves real ale, it has a smoking area. Tom Browns has free WiFi. The pub has live music events, it holds quiz nights. Tom Browns is a member of the BII. Bakers Arms in Dorchester has a beer garden. The pub has a car park, it has disabled facilities. Bakers Arms gives a warm welcome to dogs and their owners. The pub is a family friendly pub, it serves food. Bakers Arms serves real ale. The pub has a real fire, it has free WiFi. 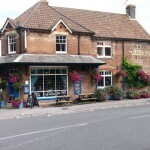 Bakers Arms is a member of Cask Marque. Black Dog in Broadmayne has a beer garden. The pub has a car park, it has disabled facilities. Black Dog gives a warm welcome to dogs and their owners. The pub is a family friendly pub, it serves food. Black Dog has an outside area. The pub serves real ale, it has a real fire. Royal Oak in Dorchester has a beer garden. The pub has disabled facilities, it is a family friendly pub. Royal Oak serves food. The pub serves real ale, it has a real fire. Royal Oak has free WiFi. The pub is a member of Cask Marque.